We meet the 2nd Mon. monthly during the school year. 7-9pm. City Hall in the Muskego Room. Muskego City Hall on Racine Ave. 1 mile south of Janesville Rd. on the east side of the road. To promote educational, social, charitable, and civic activities for the betterment of the community. 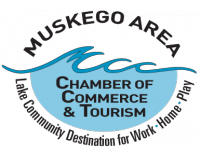 We sponsor Scholarships, Blood Drives, Safety City, Forums,Yellow Tulips, Muskego Festival, etc.